Gluten-free pappadums that are perfect for popping under the grill for a quick snack. Curry leaves and yellow mustard seeds for a spicy sautéed potato dish. Sago for sago pudding (similar to rice pudding but cooler...like eating little see-through pearls of fish eggs, except not gross). 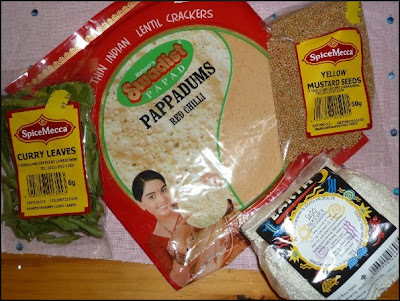 Chickpea flour = chana flour = gram flour = garbanzo flour = besan. "Used in many countries, it is a staple ingredient in Indian, Pakistani and Bangladeshi cuisines, and, in the form of a paste with water or yoghurt, a popular facial exfoliant in the Indian Subcontinent. Moreover, when mixed with an equal proportion of water, can be used as an egg-replacer in vegan cooking. 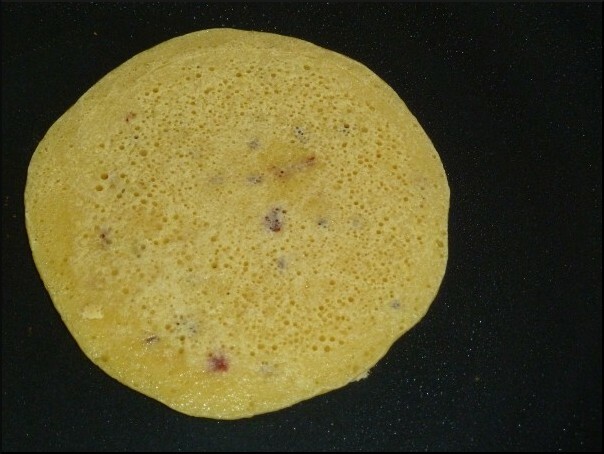 Chila (or chilla), a pancake made with gram flour batter, is a popular street and fast food in India. Gram flour contains a high proportion of carbohydrates but no gluten. Despite this, in comparison to other flours, it has a relatively high proportion of protein." So no egg = no problem. This four holds its own. P.S. This isn't a recipe of exacts...rather just a smidgen of this and a pinch of that. Go by texture and feel! 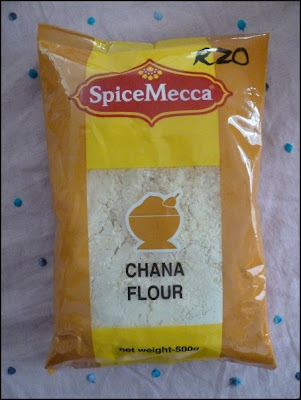 Chuck some chana flour in a mixing bowl. Add a pinch of salt, a pinch or two of jeera, a pinch or three of black mustard seeds, and a pinch or four of dried chillies. Add sufficient water to make a medium-thick batter, and then mix in a half teaspoon of vegetable oil. Lightly oil a non-stick crepe pan, and pre-heat it briefly over a medium heat. 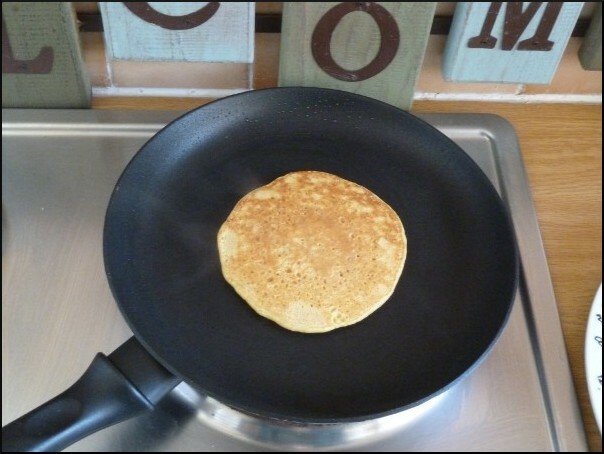 Drop a small ladleful of batter onto the centre of the pan, and watch it sizzle. Flip when it bubbles. Go for very lightly golden brown. Make a rocking savoury topping (see ideas below) and chow down on some grindage. Scoops of fresh avocado with a sprinkling of salt and dried chilli. So weird - I saw Chana Flour in Pick n Pay yesterday and wondered what it could be used for! 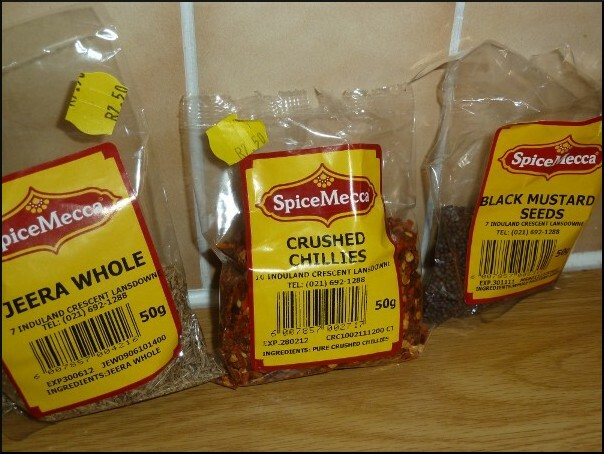 Love the Spice Mecca range, their stuff is delicious and so affordable. YUUUUUUUUUUUUUUM! These look so yummy. I could die in that avocado. yum savory pancakes sounds yummy and looks really tasty. You are quite the kitchen pirate. What an awesome flavor profile in these savory pancakes. 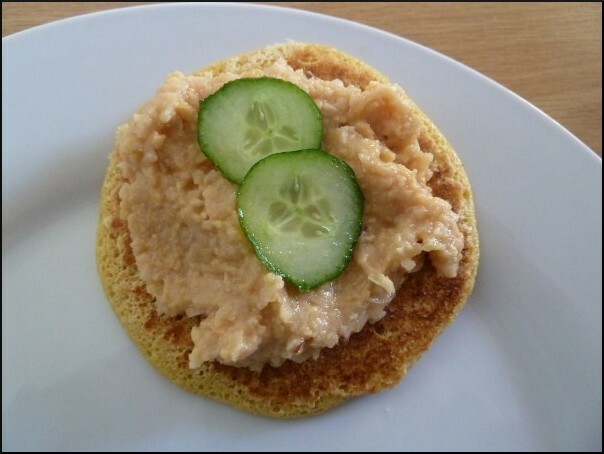 Chickpea pancakes is one of those things I keep meaning to try, yours sound delicious and I love the avocado topping!! 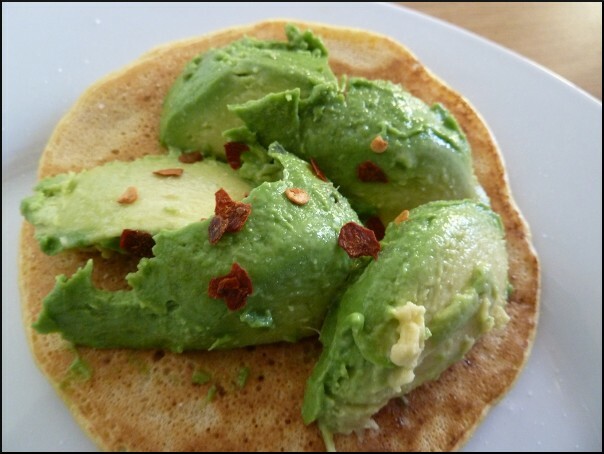 Looks very delicious, and avocado sounds incredible as a topping! Oooh! The one with avocado looks fantastic - I love avocado an anything I can get away with, but these look particularly good!